Make your concert outing an unforgettable one with Denver Executive Limousine. We provide limousine services in Denver for concerts, sporting events, and more. Denver Executive Limousine allows limo tailgating at the best Denver concert venues. Enjoy the new Mercedes Sprinter limo at Red Rocks Amphitheatre, Pepsi Center, Coors Field, The Filmore, Dicks Sporting Good Park, First Bank Center, Fiddlers Green Amphitheatre, and more... Our chauffeurs will take you to your show in style and hassle free. We offer tailgating packages and pickup/drop-off services at affordable rates. Our team of industry professionals is standing by to assist you. Call or book online. Opened in 1999 with a Celine Dion concert, this music venue is located in the heart of Lower Downtown (LoDo) Denver. 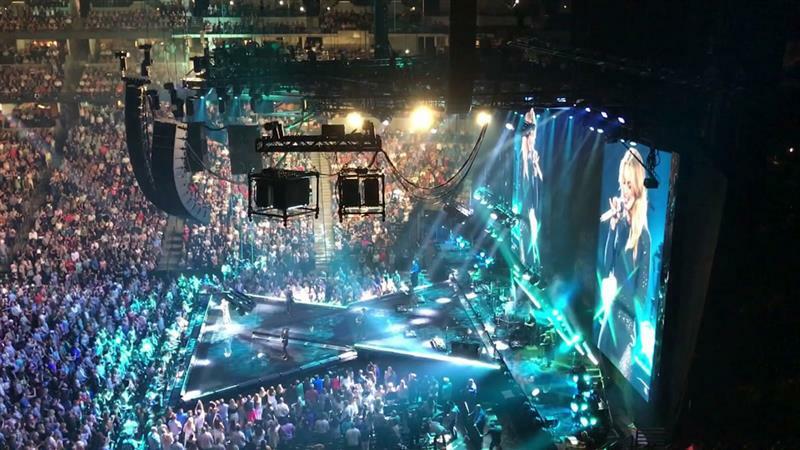 During the winter season, the Pepsi Center is used mostly for sporting events (NBA's Denver Nuggets and NHL's Colorado Avalanche), but during the spring, summer and fall, expect to find some of the biggest names in music gracing the stage. Just a few minutes' walk from downtown Denver, you can expect to enjoy good concession food, drinks aplenty or even a meal at one of three restaurants located inside the venue. This venue needs no introduction. 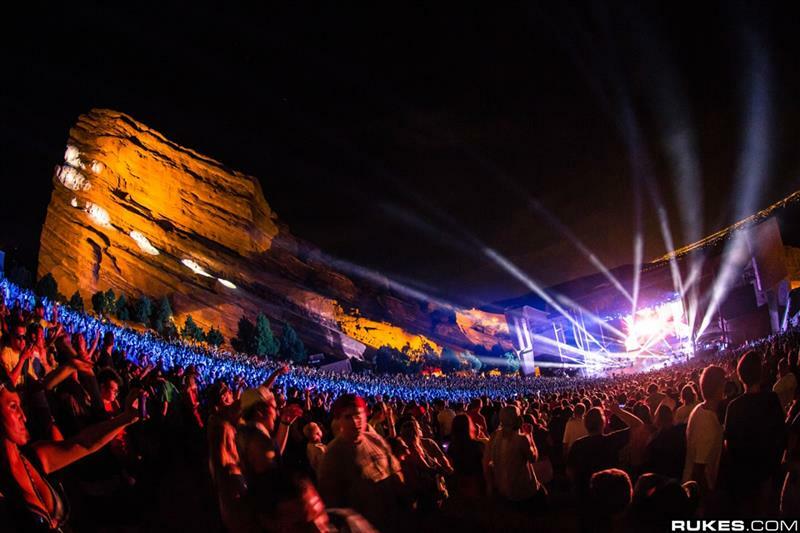 Red Rocks Amphitheatre is America's best outdoor amphitheater, according to Rolling Stone magazine. It's hosted such luminaries as U2, Jimi Hendrix, the Beatles and the Grateful Dead. Celebrating its 75th anniversary in 2016, it's a top destination for Colorado residents and tourists from around the world. It's close to Golden and just 15 miles from Denver. Our chauffeured sprinter limos are a great tailgating option. Our team will make your night hassle free, fun, and safe. Enjoy the pre-concert activities outside the gates from the comfort of your fully loaded limo while enjoying the wet bar. All vehicles have plenty of separated luggage space to bring tailgating equipment such as group games, grill, and tent. Book your Denver Executive Limousine online or call (303) 928-1088. Denver is known for hosting outdoor music venues featuring amazing acts. Besides Red Rocks Amphitheatre, of course, we also have a few other outside spaces that host some of the biggest acts in music today. Fiddler's Green Amphitheatre, situated just south of Denver in Greenwood Village, was commissioned by the Museum of Outdoor Arts in the 1980s and was built as a large-scale earth sculpture with rolling grassy slopes and stunning views of the Rocky Mountains. Grab a cold beer and a blanket, take a seat on the giant lawn or buy a reserved seat, and watch the sunset as you listen to your favorite band belt out a beautiful tune. 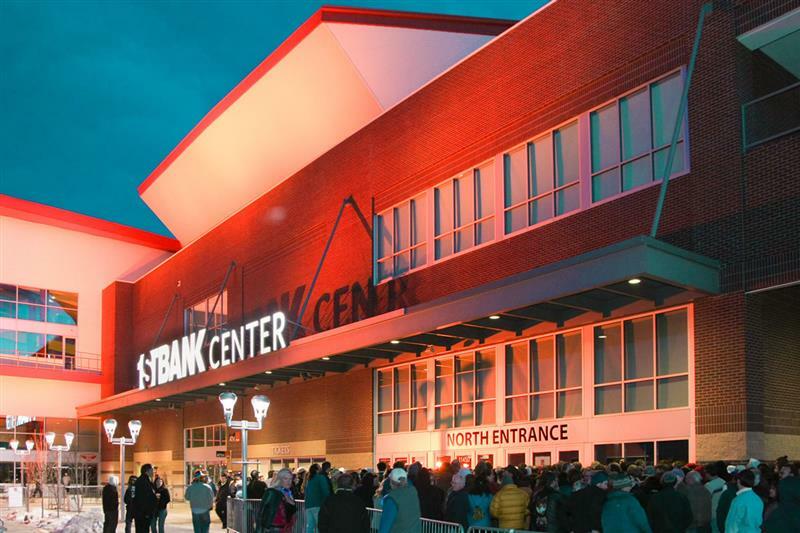 Located just a short drive up Highway 36 in Broomfield, the 1st Bank Center is the premier mid-sized event venue near Denver, which holds up to 6,500 people. Opened in 2010, this venue hosts musical acts of every genre, from electronic to country to rock 'n' roll. Make sure you double-check the fine print when buying your tickets. Floor tickets are standing room only in front of the stage while bowl tickets are seated tickets surrounding the standing floor and facing the stage. Located in Loveland, Colorado, is a 7,200 seat multi-purpose venue, which opened in September 2003, and is home to the Colorado Eagles of the American Hockey League. This multipurpose facility can host hockey, basketball, football, family shows in any configuration, rodeos, and diverse concert settings in various capacities, trade shows, and several dozen setups to accommodate just about any event. The Budweiser Events Center, less than an hour's drive from Denver and Cheyenne, has become the focal point for sports and entertainment in Northern Colorado. Let Denver Executive Limousine be your trusted transportation provider.